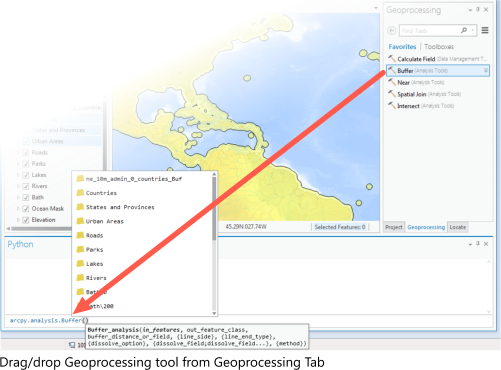 ArcGIS geoprocessing tools have rich functionality for messaging and reporting progress within the ArcGIS family of applications. With script tools implemented using python the coding patterns are well established and documented. 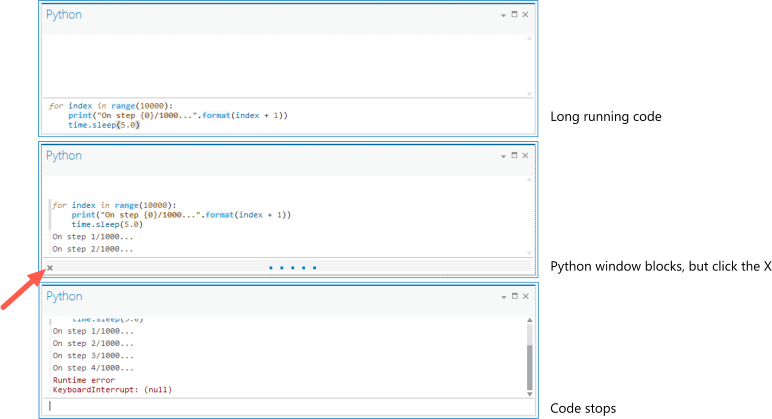 One of our users created a script tool which called out to a c++ library (DLL). The processing done within the c++ library was lengthy so we were asked about how to provide progress feedback, as well as how to deal with a user clicking the ‘cancel’ button on the tool within the DLL. The arcpy-cpp-interop repo on GitHub is a working, simple example of a c++ library called from a python script that demonstrates rich communication and feedback to the ArcGIS application. 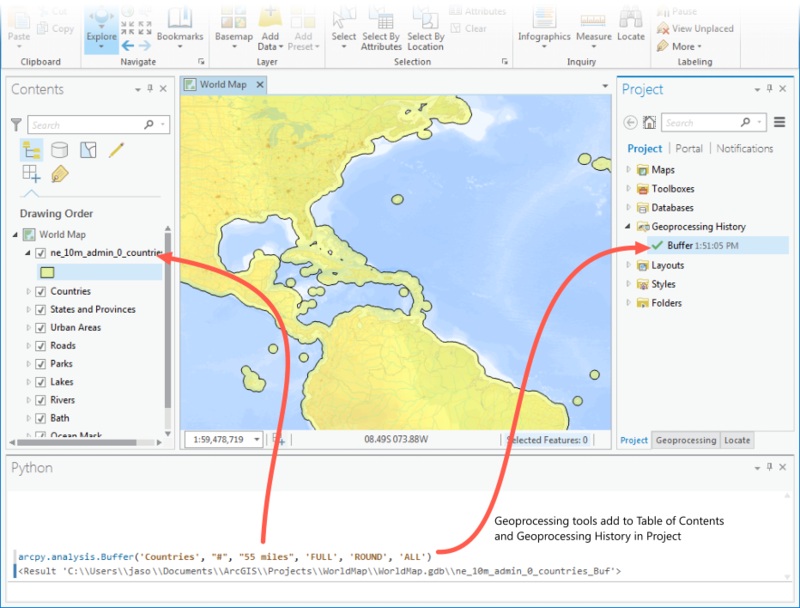 ArcGIS Pro is coming with a totally redesigned UI, and the Python window is no exception. First off: the Python window is meant to be a utility. It’s not most flashy of designs. You type in code and get feedback, it should help you do that and that is all. Our intention in the redesign wasn’t to get people super excited about typing code into a text box, it was to pleasantly surprise you with some helpful features and get out of your way. The way it’s set up it a little different in Pro App. Here’s a quick tour of its design and features. We’re not blazing any new territory here, it’s just useful. Any GP tool you run in the Python window will show up in your current project’s Geoprocessing History. Outputs will be added to the current map. You can use [Ctrl-Up] and [Ctrl-Down] to go through previous commands you’ve issued in the Python window. 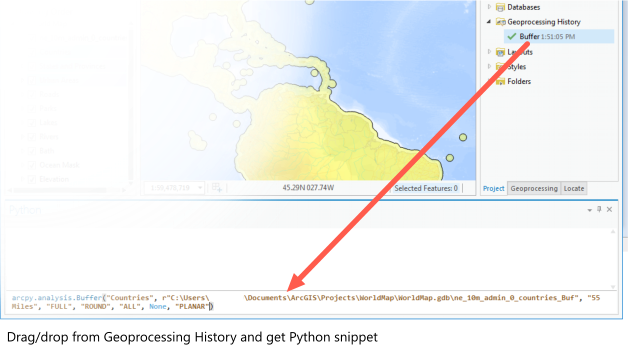 It also saves them between sessions, so if you open up a new ArcGIS Pro instance, you can hit [Ctrl-Up] and get what you typed last time. 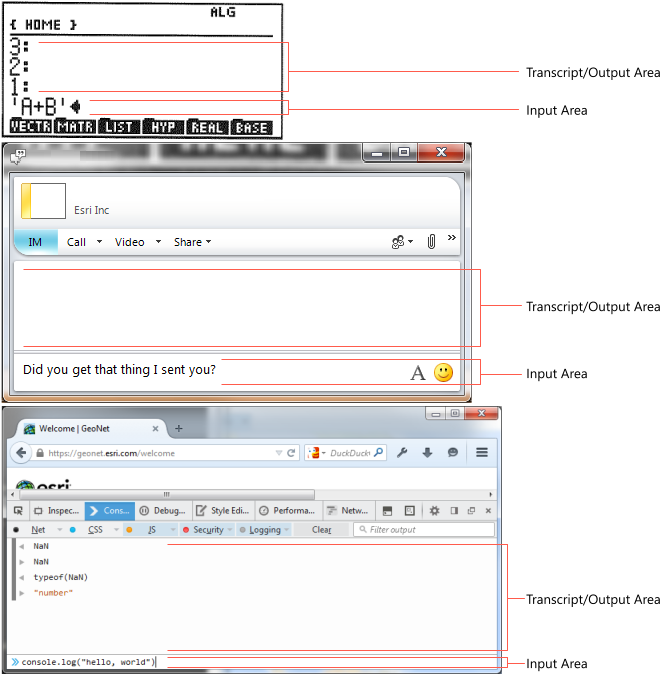 We can’t show this in screenshots, but a lot of the work we’ve put into the Python window is how it feels. Hopefully you’ll be more productive and the Python window will get out of the way and just let you do your job, speeding you up where it makes sense. This is a piece of code i’ve written and re-written dozens of times. Typically I code it on a whim for a single use. Today I went the extra mile and made the output really nice, so here it is in case somebody has use for it. And this is what you get as output in the python window*. 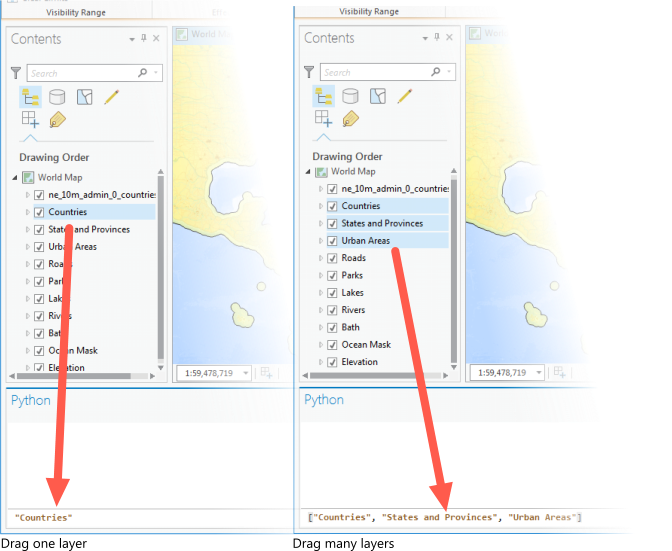 * this is the nice and new ArcGIS Pro’s python window. The output is a bit too wide for use in terminal (80 characters) but within the app it’s nice and clear. it was great meeting and talking to everybody at the dev summit. A number of python/arcpy presenters already shared their code to github repos below. Somebody on the team was having trouble tracing streams due to breaks in the streams introduced when converting raster to feature. So here is slick little solution which takes n paths in a line features and makes a 1 path (aka 1 part) out of it. None of the vertices are moved. Where there were two paths separated by a gap you will have one path with no gap. To work property the paths have to be pointed in the same direction and not be converging. To deal with that would require quite a bit more logic. As is script modified data in place, so back up your data before using.